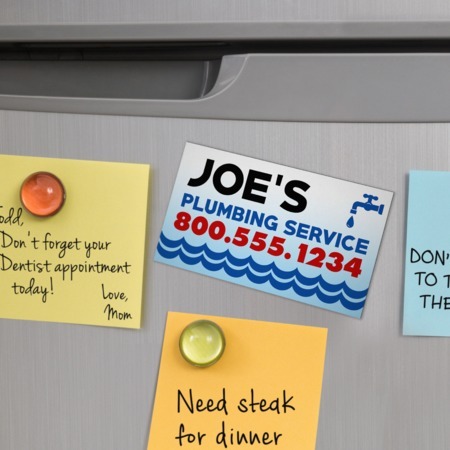 Refrigerator magnets are a great way for customers to remember your business. These magnets are usually on display all year long. That makes them great for businesses that provide basic services - food delivery, plumbing, carpentry, grocery services, and the like. They can also be used as souvenirs for corporate events. Having a wedding? Give your guests something to remember your special day by. We have preset size options but can accommodate custom sizes if needed. Our magnets are printed on 17 pt. high gloss stock and are ready to be shipped in 4 to 6 business days.